As a requirement of the Creative Communications (CreComm) program at Red River College, all second-year student have to complete two separate three-week work placements. My first one was done in November/December at Brookline Public Relations, a PR firm in Calgary, AB. I wanted to gain experience working in a different city, and with a firm that does work for a variety of different clients. For my second internship I wanted to switch things up a bit. Because I had already seen what it was like to work in a firm, I wanted to see what in-house PR had in store. 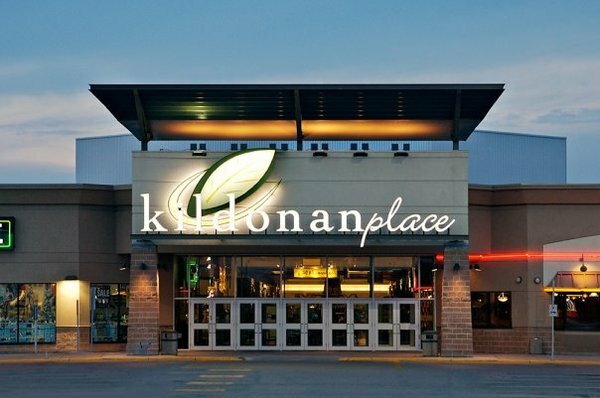 My PR instructor had contact with a former CreComm grad who works in the marketing department at Kildonan Place Shopping Centre (KP). I’ve worked in retail for several years and LOVE to shop, so jumping on board with this placement was a no brainer. Last week was my first week working in the KP administration office, with the marketing director as my mentor. As much as I enjoy the idea of working on a number of projects for clients with different needs, working in-house has its perks. This is purely an observation, but working in-house gives you the chance to really know and understand the product or service you represent, in turn, helping you become a stronger brand advocate. You get to see first hand what’s worked and what hasn’t worked for your company, and have more time to explore new possibilities. Today starts week two and I’m excited to see what I’ll get to be a part of! Does anyone remember Hi5? I’m not sure if it’s still up and running, but it was one of many social networking sites that exist out in cyberspace. When I was in grade 8 or 9 it was a pretty big deal so I decided to create an account. It was the first social networking site I’ve ever joined and I really enjoyed it. Being able check up on my friends and other classmates seemed like a lot of fun. Shortly after I joined Hi5, I kept getting emails to join sites like “Where’s Wayne”, and “Bebo”. I didn’t feel the need to join every site; the popularity of these sites is usually just a phase so attaching myself to all of them seemed pointless and time consuming. MySpace came around and my first thought was “oh great, another site people are trying to get me to join”. I was more than content with my Hi5 account and not interested in joining anything else. My friend Kirsten kept going on about how much better MySpace was so when I told her I didn’t want to join, she took it upon herself to sign me up. After a while I started to like MySpace a lot more than Hi5. With MySpace I was able to decorate my profile page how I wanted, and I was even able to add music to my profile so anyone who visited my page would hear it immediately. What came next? You guessed it…Facebook! At this point I already had two networking sites going and joining a third seemed tedious. But once again Kirsten kept raving about this new site and quickly signed me up. I wasn’t happy with it at first because I didn’t like how I couldn’t customize my profile to look the way I wanted it to, and I didn’t like the idea of having to update my “status” everyday. Eventually it grew on me and like many others, I became addicted. From Hi5, to MySpace, to Facebook. And now….Twitter. As you can guess, Twitter is not something I wanted at first. Although I actually created a Twitter account by my own hand, it was only for academic purposes. As a Creative Communications student it’s important for me to keep up with all sorts of social media outlets. I wasn’t 100% sold until I recognized some of its perks. I like the fact that I can follow people that interest me and whom I think would have intriguing or informative tweets. I’m following the Winnipeg Free Press and CBC News so I get a lot of news updates, which is really helpful to me because I don’t always have the time to sit and watch the news or read a newspaper! Another thing I really enjoy is being able to follow communicators from around the globe. I’m hoping some of their tweets will inspire me and my work while helping me learn more about the industry.